Daintree Rain Forest & more! Diva Destinations are going down under and we want to make sure you get to experience everything Australia has to offer. Visitors are often amazed at the range of experiences available and how easy it is to try something new. 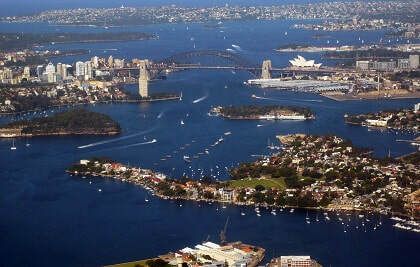 Well, we have put together a wonderful trip exploring the key destinations and attractions on Australia’s East coast. Not only will you be spending 6 nights in Sydney, a city internationally-renowned for its culture, scenery, iconic landmarks and flawless weather BUT you will also be right in the hub of it for the ​43rd Sydney Mardi Gras one of the biggest LGBT events on the calendar. 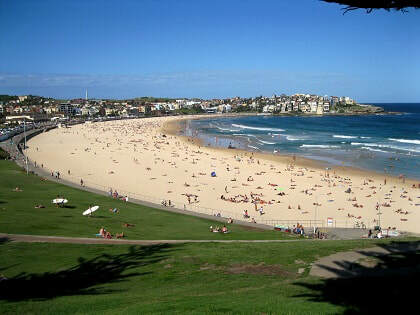 From Sydney we will travel out to the beautiful Blue Mountains for 1 night before continuing our Aussie adventure up the coast to the frothy waves of Byron Bay, famous for its beautiful sandy beaches and surf. So to make sure you have some relaxing time we have built in a chilled week of beach, surfing & bbq's before heading up to the charming township of Port Douglas in the Tropical North. From there we continue to the north-east corner of Australia where you find Queensland, home to some of the world’s most renowned landmarks, many of which have been carved from nature’s fair hand, making it a must-visit on any Australia tour. Few natural marvels can be as extraordinary as the Great Barrier Reef, which fringes the Australian east coast in the turquoise stretches of the Coral Sea. Home to some of the world’s most beautiful marine life, the Great Barrier Reef supports incredible diversity, making it a unique experience for everyone who visits. So why not join Diva Destinations in 2021 in Australia! Whether you are travelling solo, a couple or friends travelling together there will be something for everyone. The Great Barrier Reef -home to some of the world’s most beautiful marine life, the Great Barrier Reef supports incredible diversity, making it a unique experience for everyone. A true wonder of the World! Mossman Gorge: Indigenous presentation, afternoon tea and guided walk.